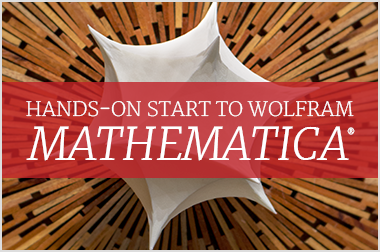 Join a free online training session to learn different ways to interact with Mathematica—enter queries through free-form input and the Wolfram Language, create notebooks, perform symbolic and numeric calculations, generate 2D and 3D graphics, create interactive Manipulates, analyze data and turn your notebook into an interactive presentation. This is an exciting opportunity to learn directly from the authors of the book Hands-on Start to Wolfram Mathematica and Programming with the Wolfram Language and ask questions during the interactive Q&A. Participants will need access to either Mathematica for the desktop or Mathematica Online to utilize the hands-on aspects of this training. Learn how to quickly create and format computational documents, called notebooks. Get started with your first calculations using free-form input, point-and-click palettes and the Wolfram Language. Discover how intuitive it is to compute just about anything and how to perform exact and numerical calculations, assign variables and create your own functions. Create, combine, customize and annotate 2D and 3D graphics. Learn how to take anything—a calculation, a graphic, a piece of text—and turn it into an interactive model that you can use to explore and explain a variety of concepts. Get a closer look at how to access computable data from the Wolfram Knowledgebase or import your own data from spreadsheets and other files to use in your calculations. Learn how to quickly turn your entire notebook—including text, typeset equations, data, graphics and interactive models—into a dynamic slide show that you can edit on the fly.